Afraid to fly? Feel out of control at the mere thought of booking that flight let alone spending hours inside a metal tube soaring above the earth and possibly travelling through time zones? Now is the time to take control of your fears and begin enjoying flying. Become relaxed, fearless and confident as well as in control. Your Jet Lag can be solved before you even arrive, and you’ll be able to watch your claustrophobia, fear of heights and any other fears you may have, evaporate. You will be able to easily Drift into Sell. Cleanse away all stress and finally enjoy the world. Proven successful! You’ll wonder why the airlines don’t pass these out to their nervous customers! Freedom to Fly is a hypnosis recording with a choices ending that is 48 minutes of defusing all those seemingly uncontrollable fears. It will free you from the chains that until now have kept you grounded. The world awaits you…so realize your dreams and see it all! Jet Lag Solved is a subliminal with instructions on resetting your bio-rhythms by tapping balance back into your energy system and therefore eliminating jet lag. Tap the points in the enclosed diagram, using two fingers. Going east: UE, UA, CB, EB. Going west: UE, UA, EB, CB. Included with this recording is an instructions sheet showing you the points and procedure. So easy! 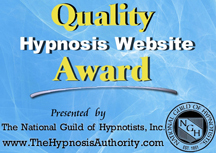 Cleanse away your Stress is a 41 minute hypnosis recording that addresses all of your personal and private reasons for being stressed….at any time. Feel liberated and cleansed, free from the overwhelm, anxiety and worry. You CAN control stress instead of allowing it to control you! Drifting into Sleep is a hypnosis recording that in 29 minutes can have you cocooned in the tranquility of slumber. Safe, natural and so easy. Listen in-flight and awaken at your destination refreshed and relaxed. These recordings are all proven successful. For optimum results, listen as often as possible before, during and after your flight. Watch how easily these positive and beneficial suggestions replace your old negative worries. For the rest of your life, you will actually be able to relax and enjoy your flight!